1.4.4. Tried the sudo systemctl stop vboxadd and sudo systemctl disable vboxadd from here but then it reverts the resolution back. 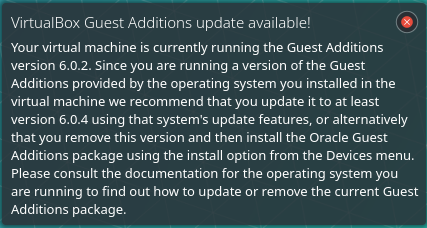 1.4.5. tried uninstalling the guest additions by sudo sh VBoxLinuxAdditions.run uninstall and then following step 2 whish was also not successful! One thing you can try is making sure your VB session is NOT running. Got to its settings and click on Display > Screen > and under 'Graphics Controller' pull down the menu and select 'VBoxVGA'. Save and exit, and restart your VB session. I've been having the same problem, and have failed to resolve this in similar steps. The issue seems to be with the graphics controller option introduced in Virtualbox 6.0. I found that if you create a fresh installation using the 'VBoxVGA' controller from the very beginning, then everything works correctly, but if you install using the default 'VMSVGA' controller then it doesn't seem to be possible to revert/fix any of the issues through any obvious means. I recently faced the same issue, and after some research I came up with the solution that doesn't require to use VBoxVGA adapter and reinstall Manjaro. The TL;DR version is, you needed to install linux419-headers, not linux419-kernel. Mount the ISO via Devices → Guest Additions CD Image… and open the terminal there. At this point Manjaro should work fine with the new VMSVGA controller adjusting screen resolution on the fly (make sure you allocated enough video memory (128 Mb) and enabled acceleration in VM settings beforehand), seamlessly share buffer and allow drag-and-drop. Not the answer you're looking for? 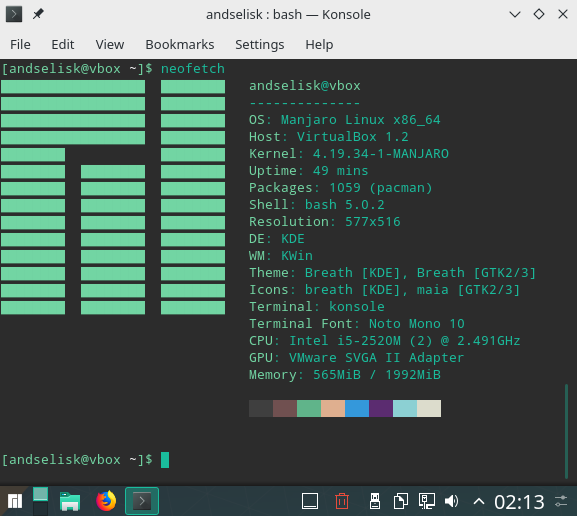 Browse other questions tagged windows virtualbox manjaro resolution or ask your own question.